summarise or editorialise the current state of the literature (Reviews, Commentaries, and Editorials). 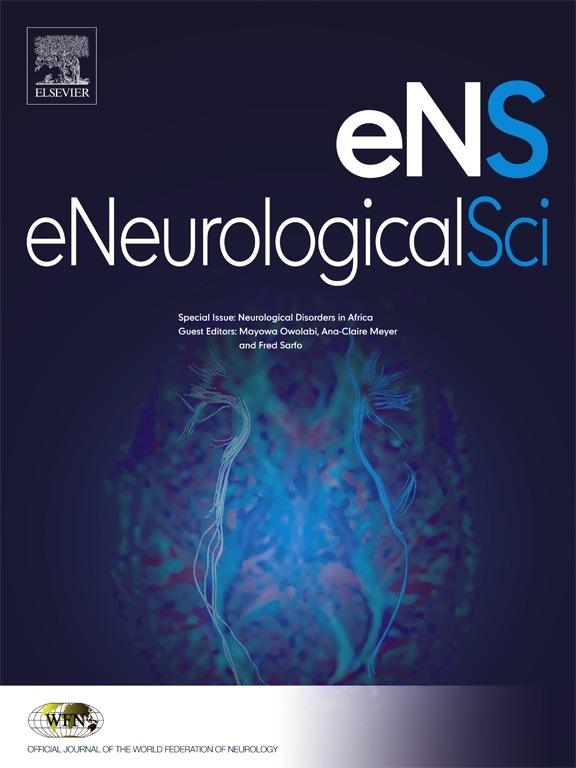 eNS accepts most types of manuscripts for consideration including original research papers, short communications, reviews, book reviews, letters to the Editor, opinions and editorials. Topics considered will be from neurology-related fields that are of interest to practicing physicians around the world. Examples include neuromuscular diseases, demyelination, atrophies, dementia, neoplasms, infections, epilepsies, disturbances of consciousness, stroke and cerebral circulation, growth and development, plasticity and intermediary metabolism.